Israel’s unique contribution to US’ national security and US defense industries was reaffirmed on February 10, 2018, by Israel’s effective military operation against Syrian-based Iranian-Syrian surface-to-air missile batteries, early-warning radar stations, a launching-base of unmanned aerial vehicles and a command-control bunker. While Israel lost one F-16 combat plane, its air force demonstrated exceptional capabilities in the areas of intelligence, electronic warfare – especially radar jamming – firepower capabilities, precision, maneuverability, penetration of missile batteries, early-identification and destruction of advanced unmanned aerial vehicles and their mobile controller, etc. 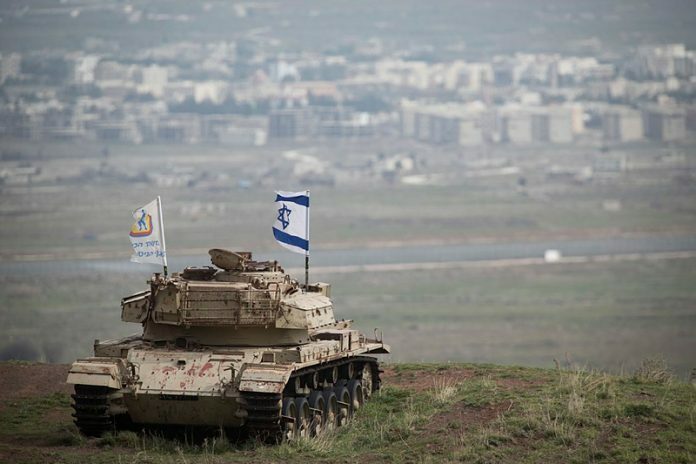 Israel’s Defense Forces (IDF) are analyzing the lessons of this recent operation, most of which will be shared, promptly, with the US – the manufacturer and provider of most of the systems operated by the IDF – as has been the case with a multitude of Israel’s military operations and wars. For example, much of the battle-tactics formulation in the US Army Headquarters in Ft. Leavenworth, Kansas has been based on the Israeli battlefield experience. The February 10, 2018 Israeli Air Force operation against Syrian-Iranian military targets has reinforced the legacy of the late Senator Daniel Inouye, who was the Chairman of the full Appropriations Committee and its Defense Subcommittee. Senator Inouye considered Israel a moral ally of the US, as well as the most effective battle-tested laboratory of the US military and defense industries – a primary outpost, in a critical region, sparing the US billions of dollars, which would be required to deploy additional US military forces to the area. Senator Daniel Inouye, who was also the Chairman of the Intelligence Committee, contended that the flow of Israeli intelligence to the US exceeded – quantitatively and qualitatively – the flow of intelligence from all NATO members combined. Chairman Inouye maintained that Israel’s battle experience – shared with the US – enhanced US national security, yielding billions of dollars to the US treasury. For instance, the shared-lessons of the June 1982 Israeli destruction of 19 Syrian-operated advanced Soviet surface-to-air missile batteries and 97 Soviet combat planes, saved the US’ defense industries 10-20 years of research and development, enhanced the competitiveness of US military systems in the global market, increased US exports and expanded US employment. Moreover, the lessons of the Israeli military operation upgraded the capabilities of the US Air Force and the US’ posture of deterrence, exposed the vulnerabilities of advanced Soviet military systems – which were deemed impregnable until then – undermined the regional and global Soviet strategic stature, tilted the global balance of power in favor of the US and prevented the loss of many American lives. When visiting the General Dynamics plant (currently, Lockheed-Martin) in Ft. Worth, Texas, which manufactures the F-16 and F-35, I was told by the plant manager that the US manufacturer was privy to an almost daily flow of operational, maintenance and repair lessons drawn by Israel’s Air Force, which generated over 600 upgrades, “worth mega-billion of dollars.” Common sense suggests that similar mega-benefits are afforded to McDonnell-Douglas, in St. Louis, Missouri, the manufacturer of the F-15, which is also operated by the Israeli Air Force. The February 10, 2018 Israeli Air Force operation highlighted the US-Israel mutually-beneficial, two-way-street, featuring Israel’s unique contributions to US national security and defense industries. It provided additional evidence of the exceptionally high rate-of-return on the annual US investment in Israel, which is erroneously defined as “foreign aid.” Israel is neither foreign to the US, nor is it a supplicant; it has been an unconditional, productive junior partner of the US in the liberty-driven battle against rogue regimes. Previous articleEmes Ve-Emunah: A Win? Or a Defeat?